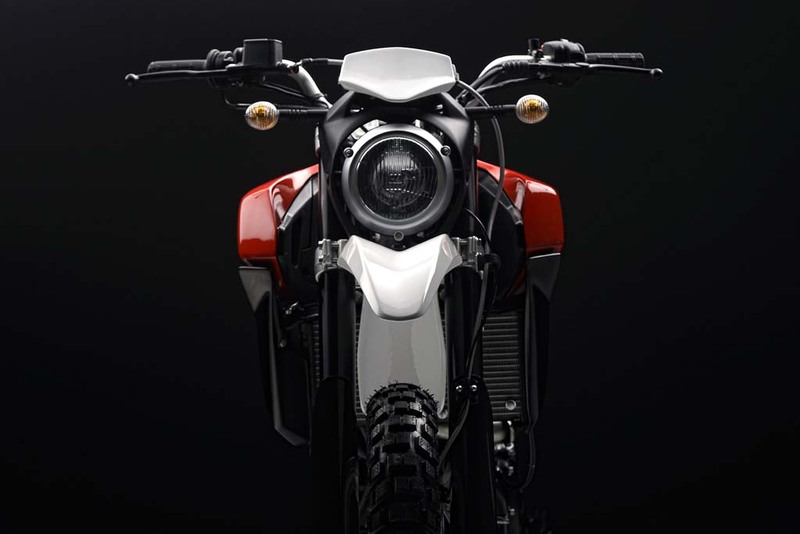 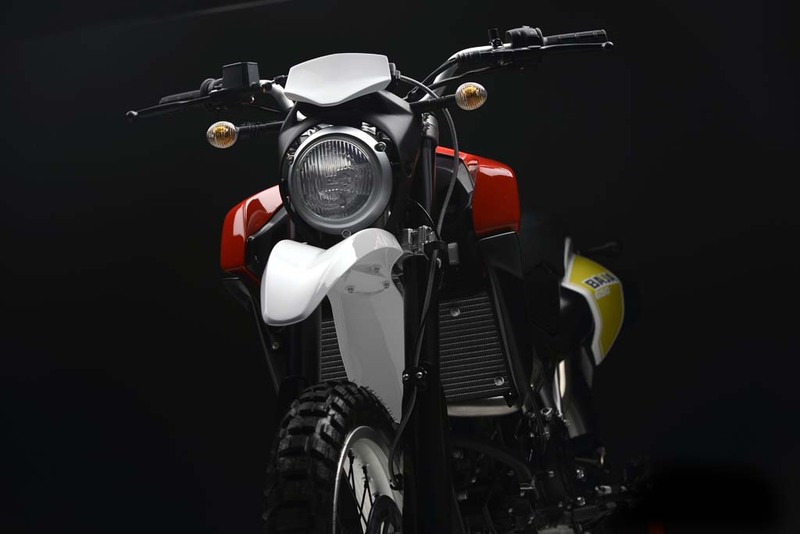 Last January, Husqvarna unveiled a new concept model at the International Motorcycle Shows stop in New York City called the Baja. 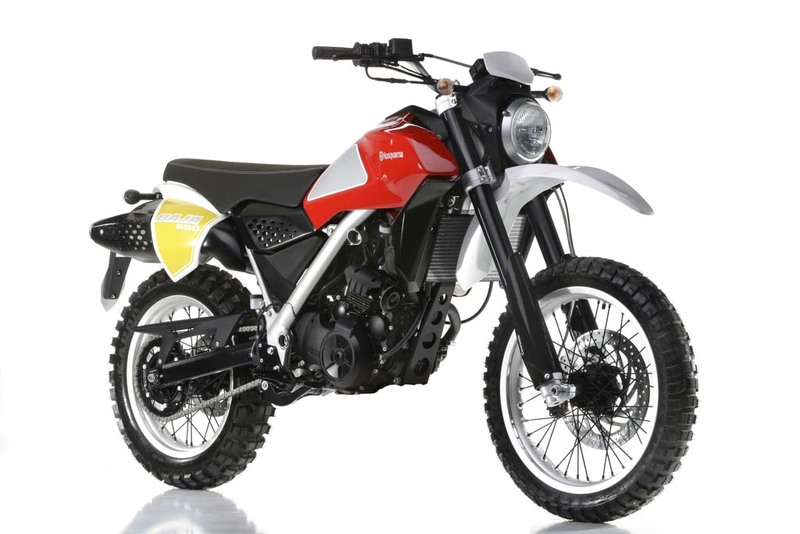 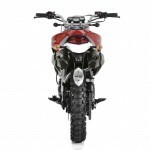 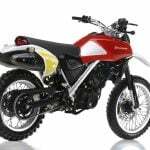 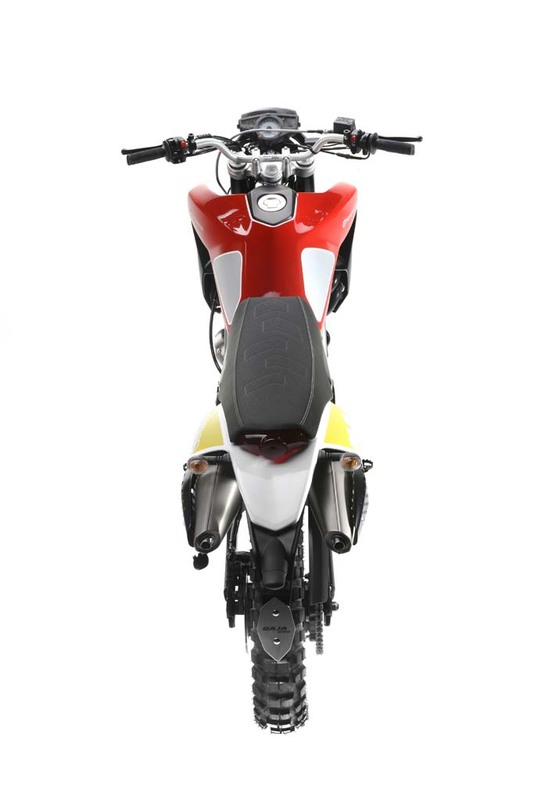 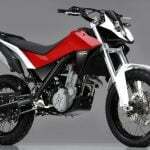 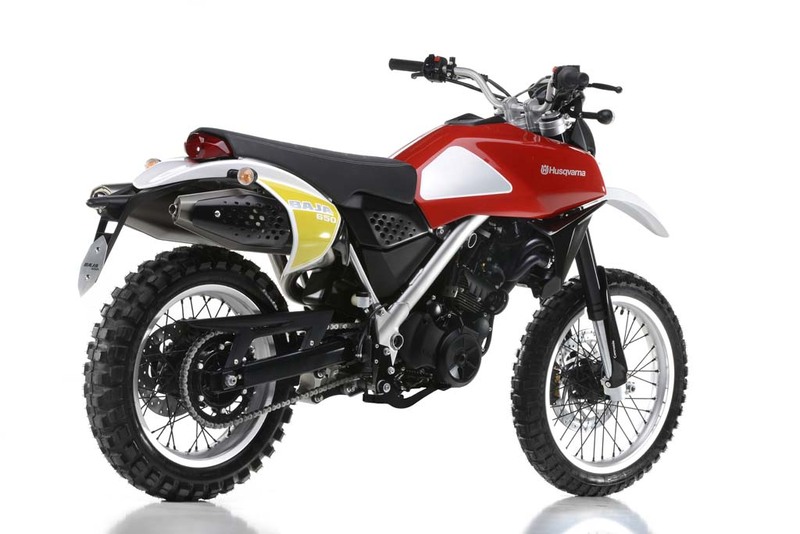 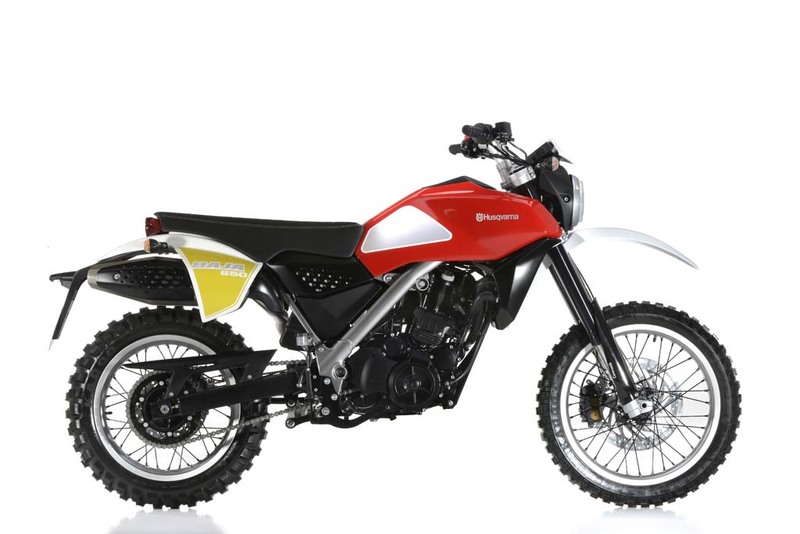 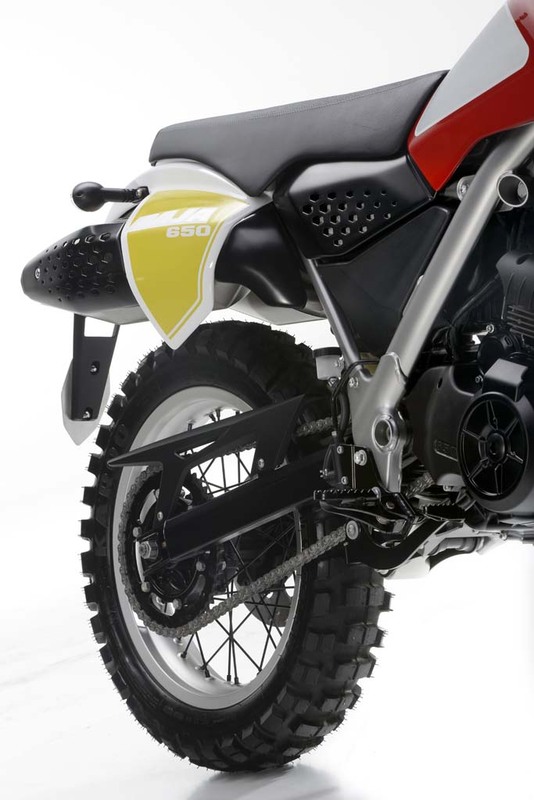 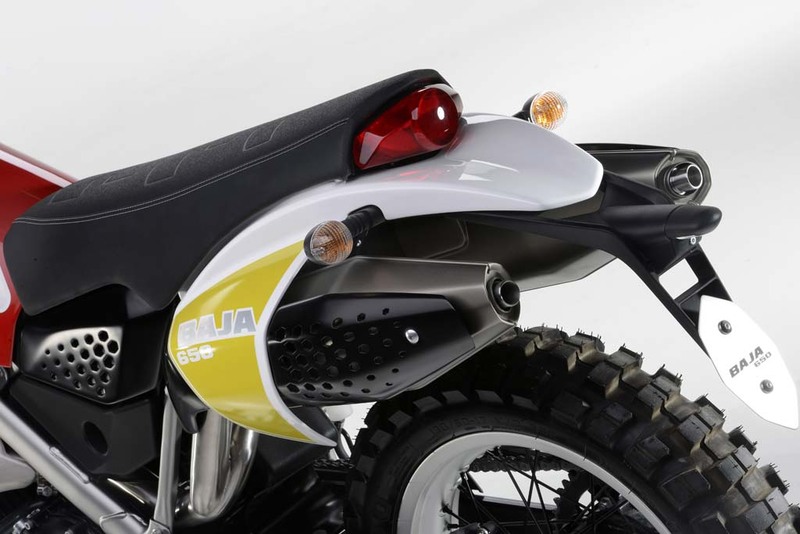 That concept was similar to the MOAB concept Husqvarna displayed at last year’s EICMA show, but with an off-road style mud guard instead of the MOAB’s street fender. 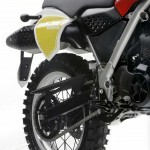 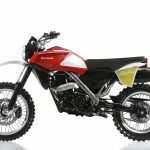 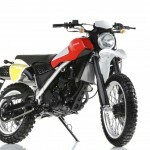 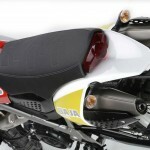 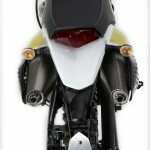 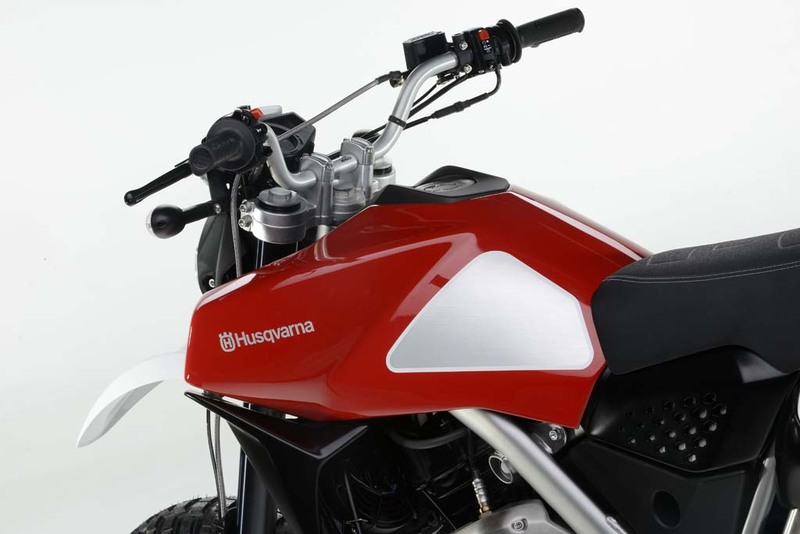 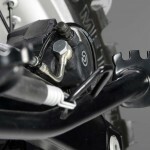 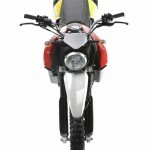 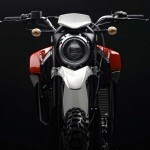 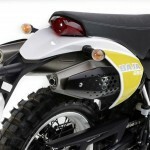 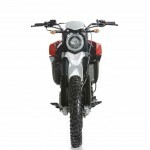 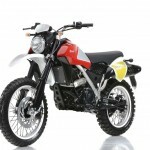 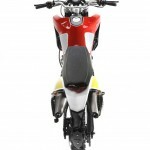 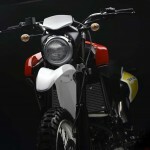 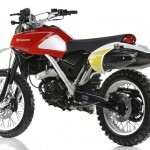 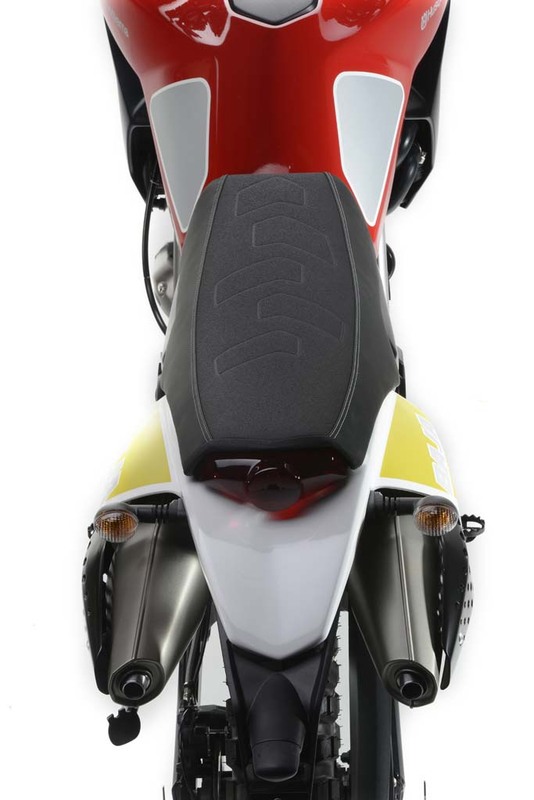 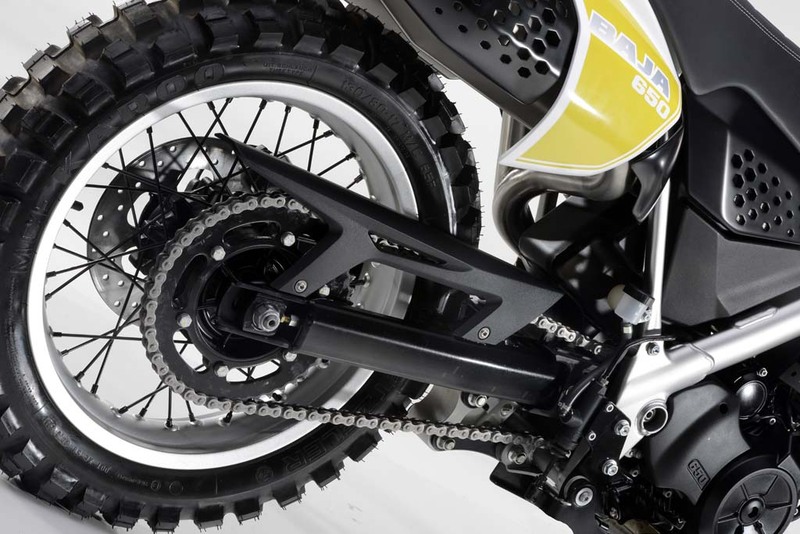 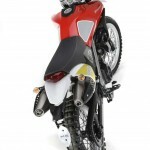 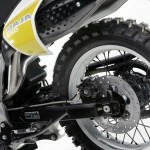 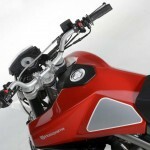 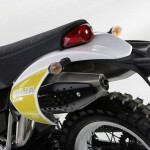 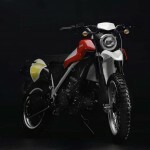 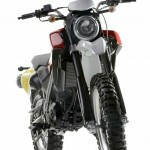 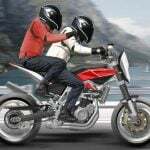 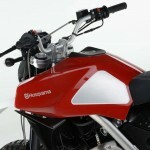 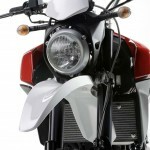 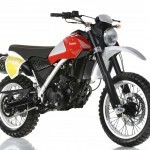 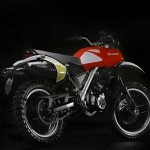 This year, Husqvarna returns to the 2012 EICMA Show with an updated version of the Baja concept that looks a lot closer to being ready for production. 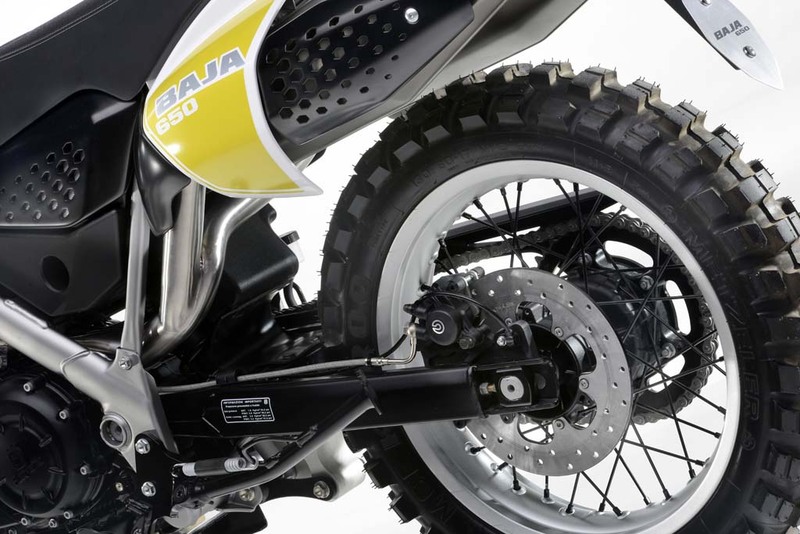 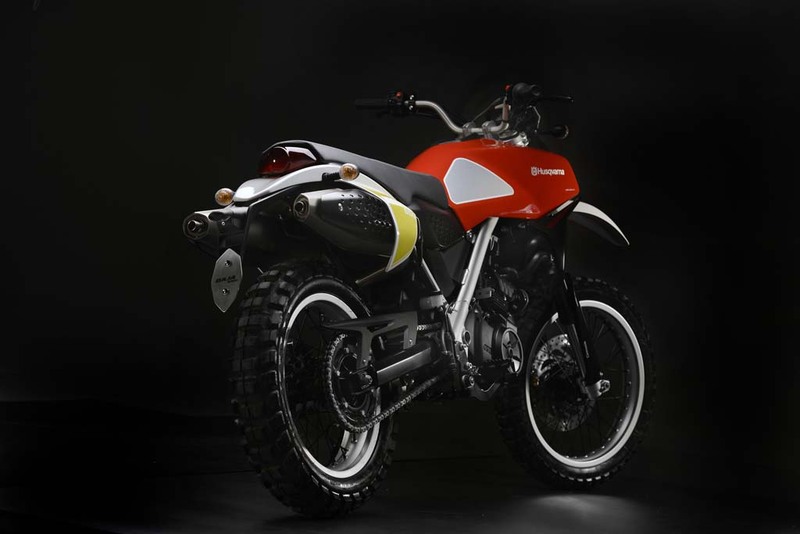 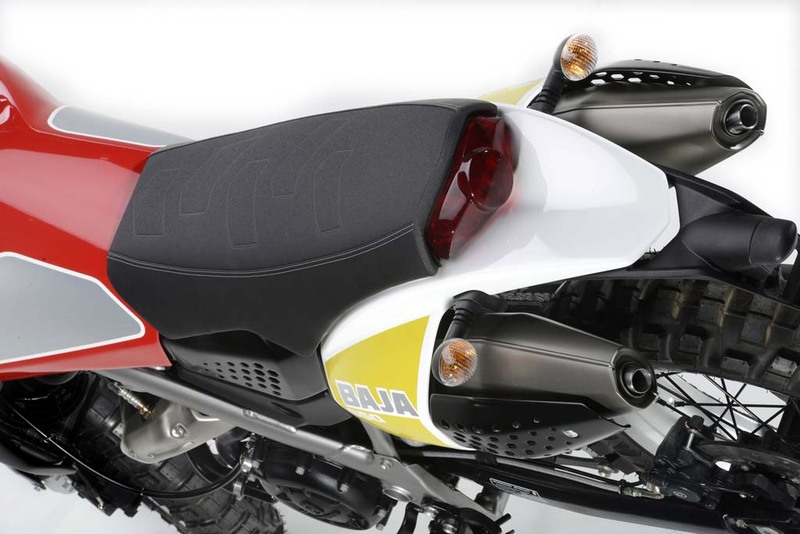 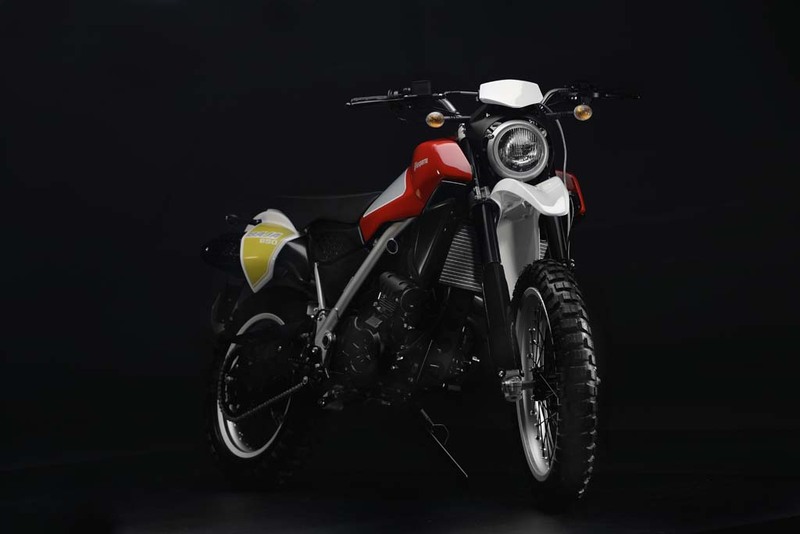 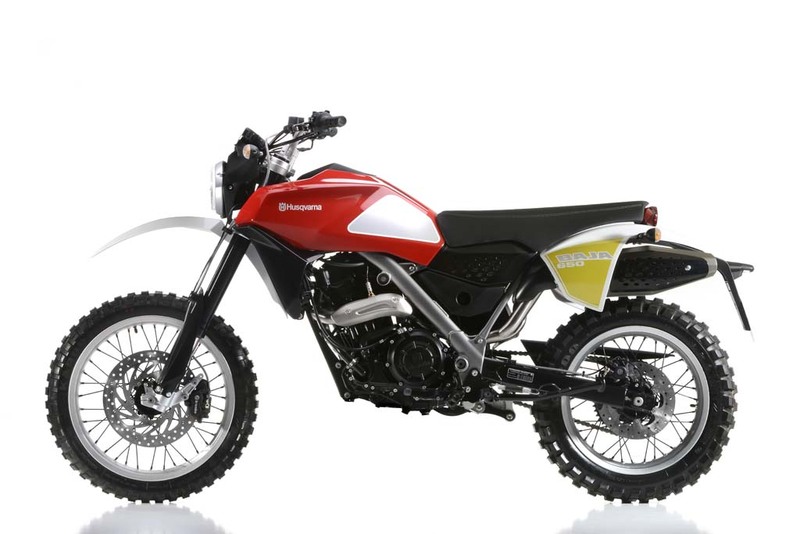 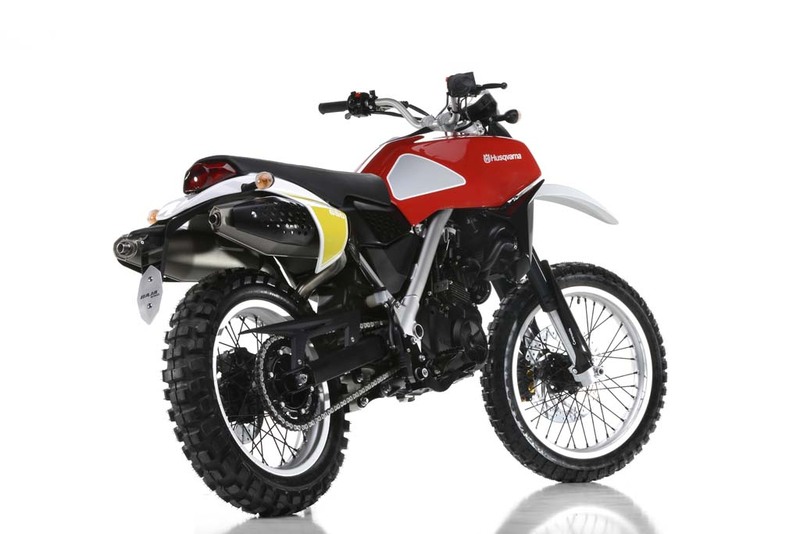 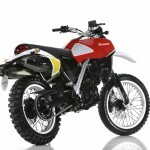 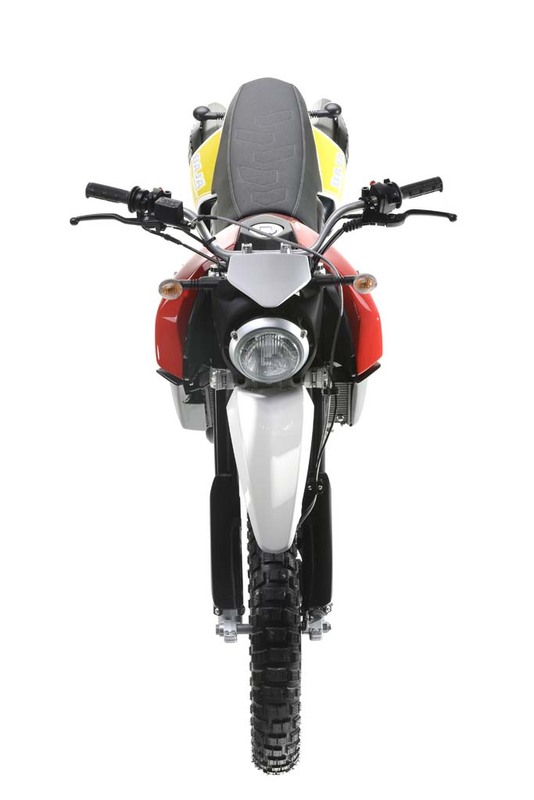 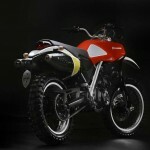 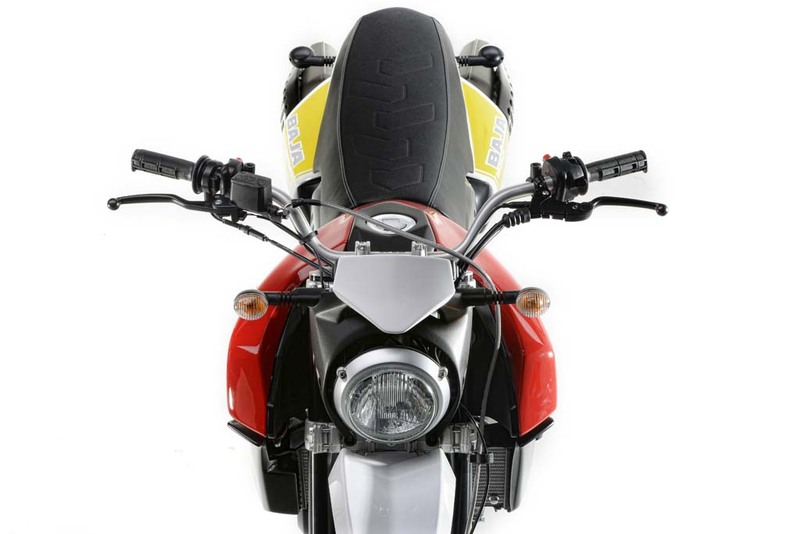 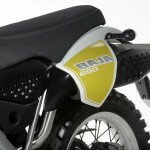 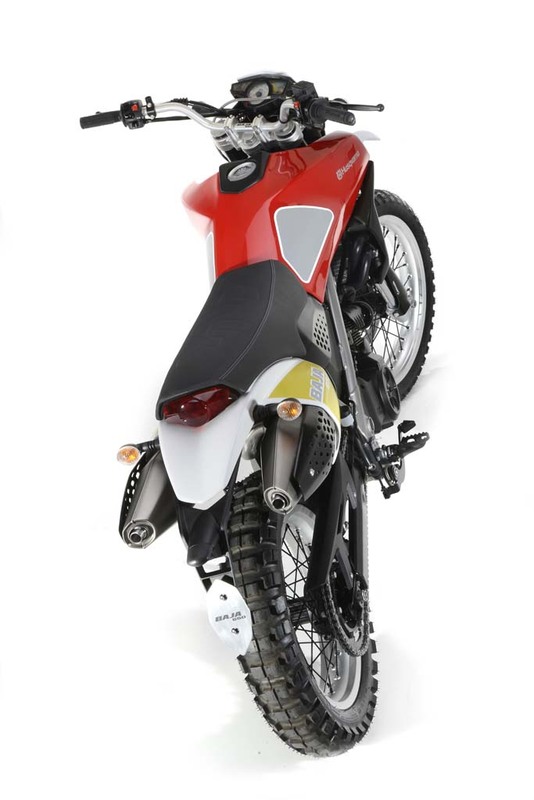 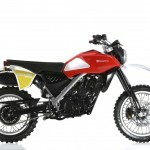 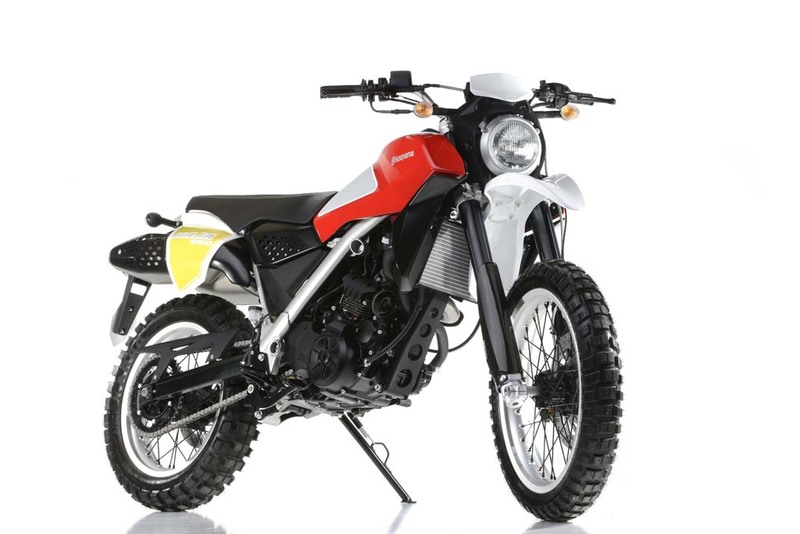 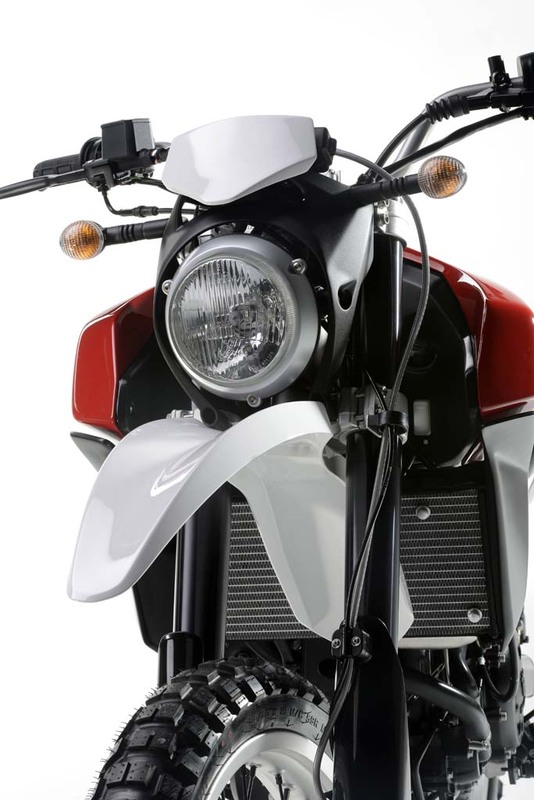 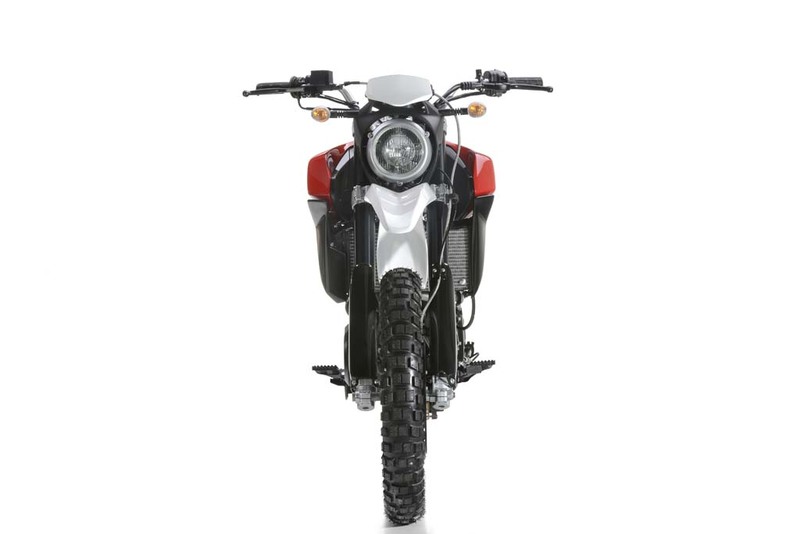 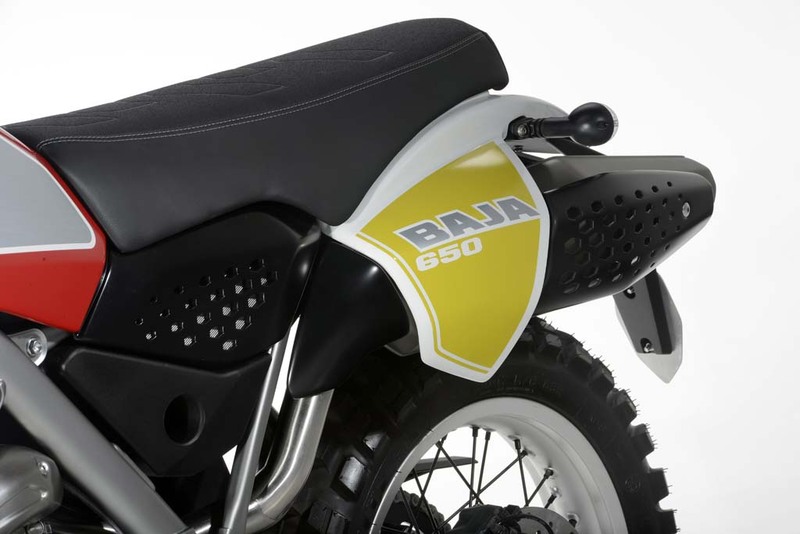 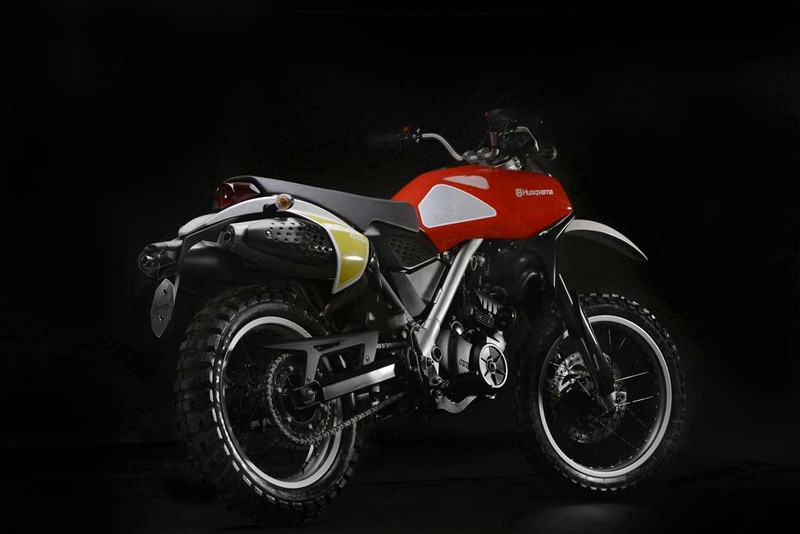 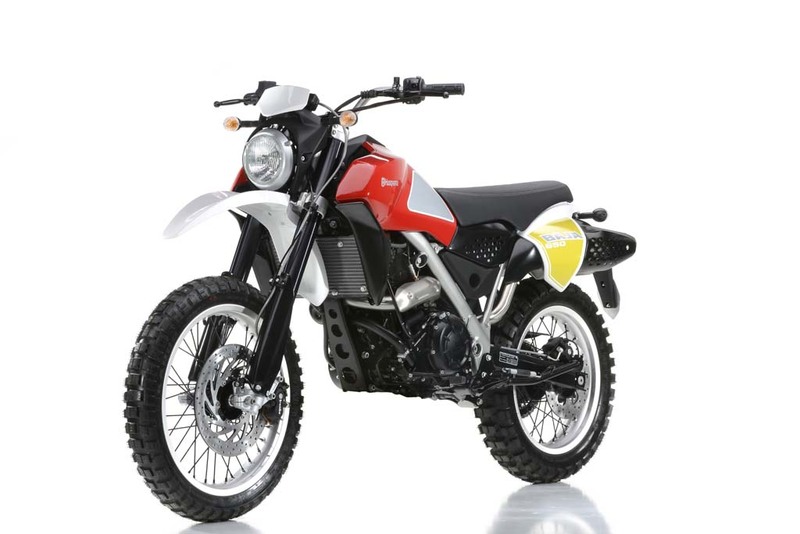 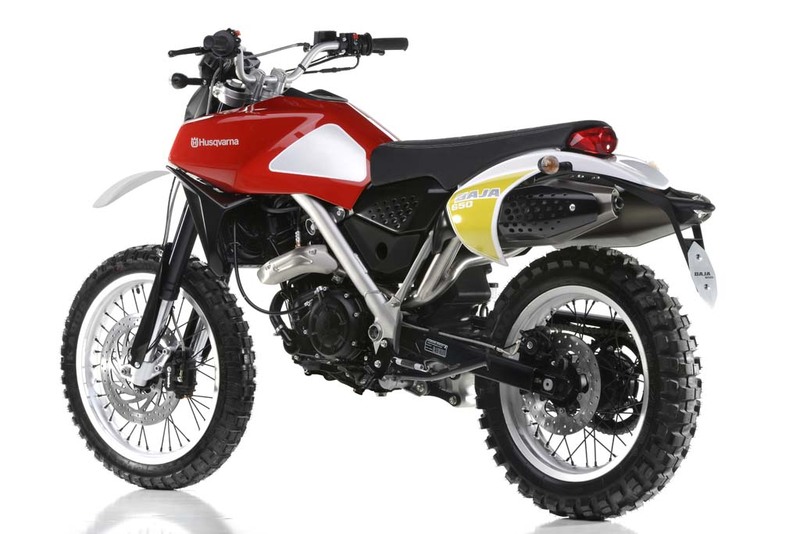 The Baja concept is styled after the Husqvarna Cross 400, made famous by Steve McQueen on the cover of Sports Illustrated in 1971. 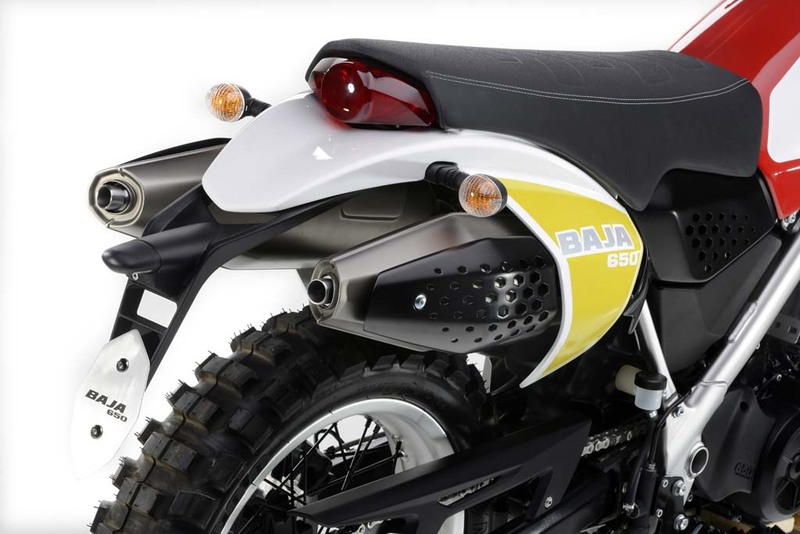 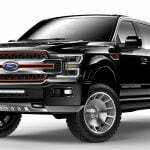 This, combined with the concept’s initial debut in New York, means the final production version of the Baja is likely to be brought to the U.S. market. 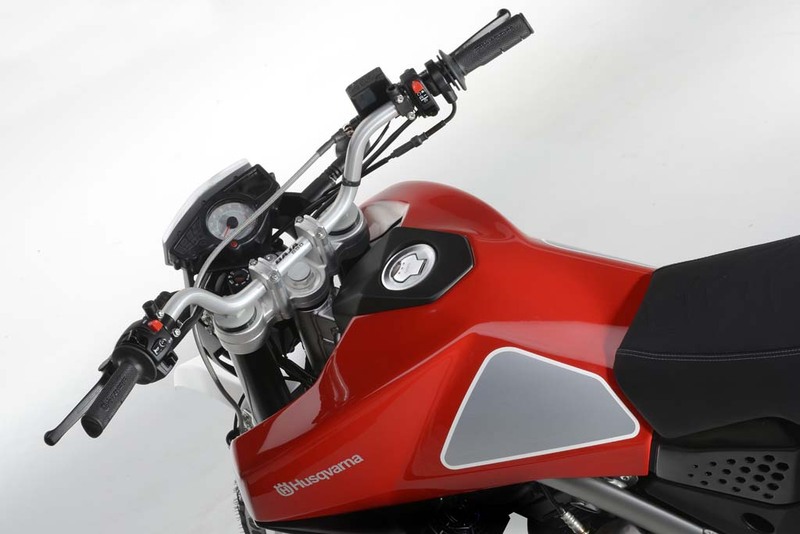 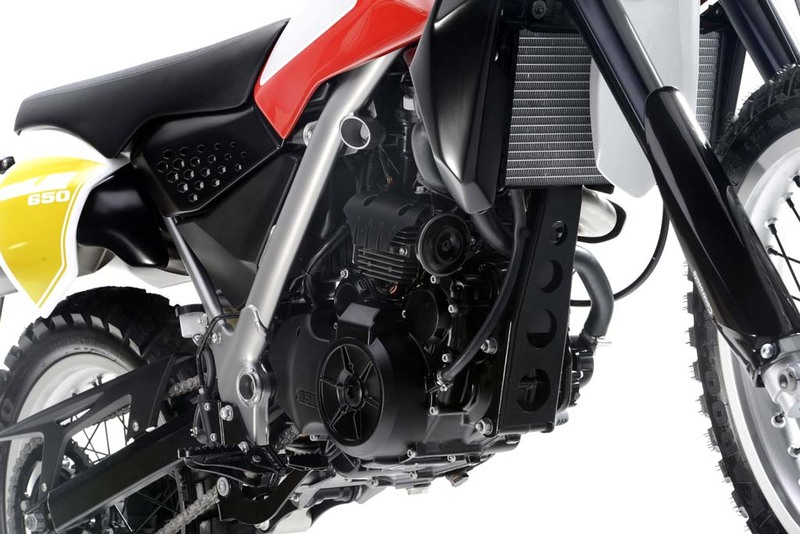 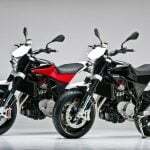 Powering the concept is a 650cc single-cylinder engine, a variation of BMW G650GS-sourced engine used in the TR650 platform. 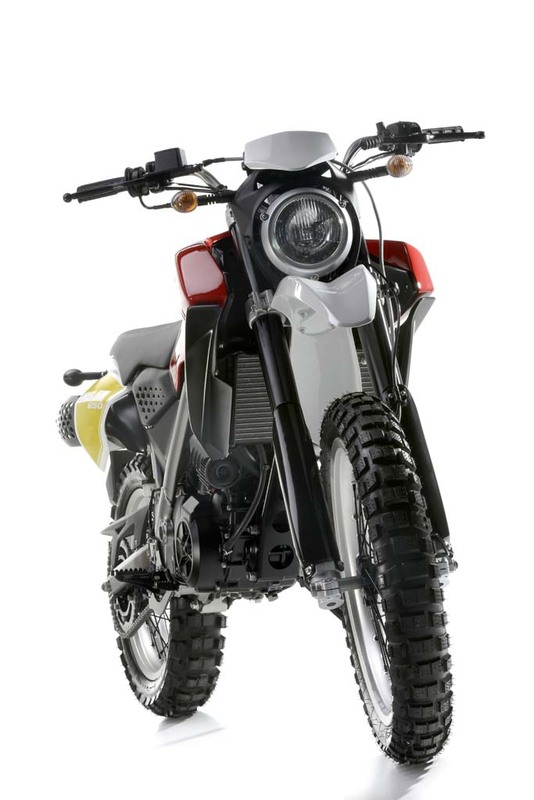 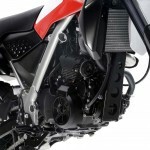 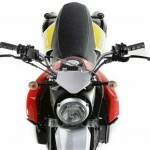 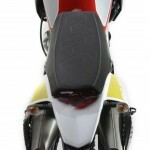 Other details include a steel tube frame, inverted fork, knobby tires and dual underseat exhausts. 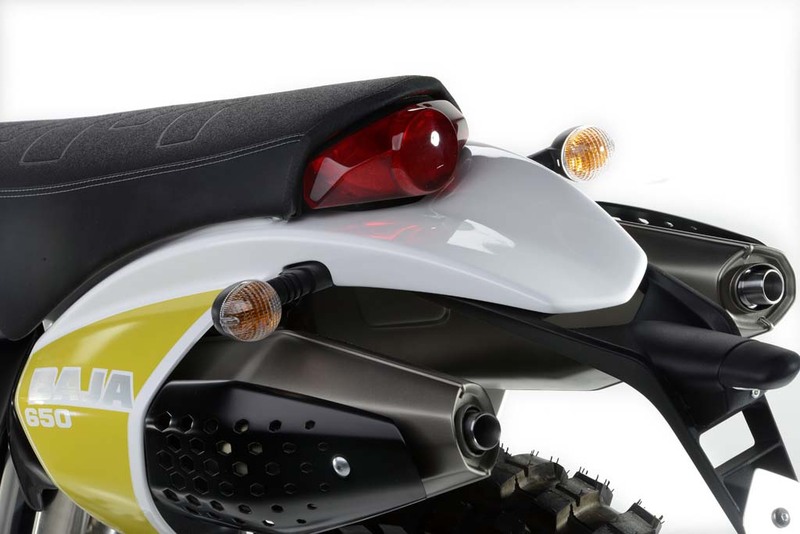 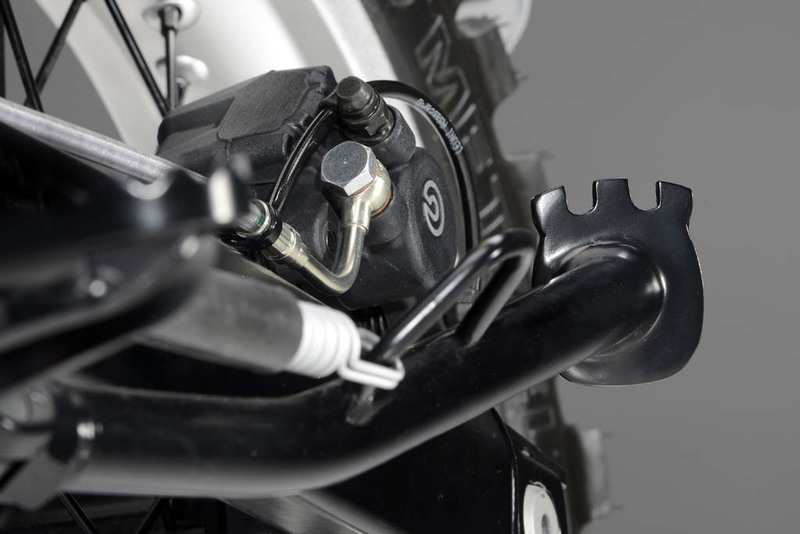 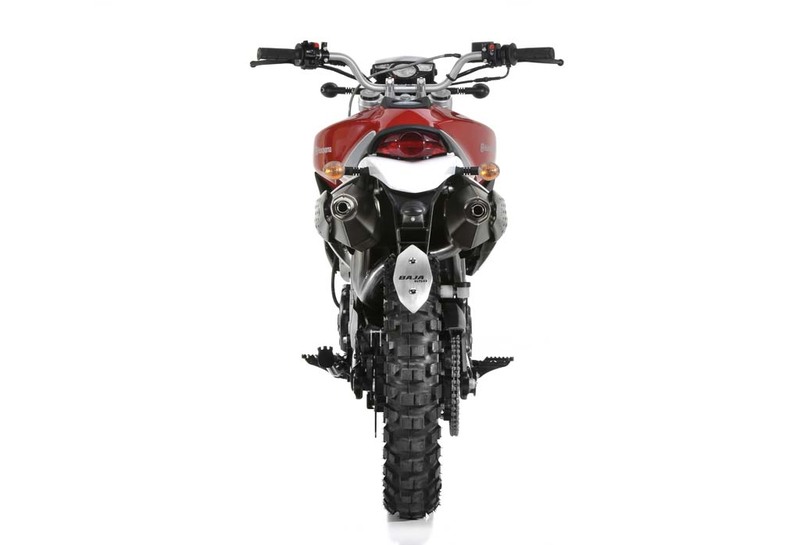 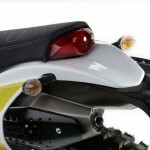 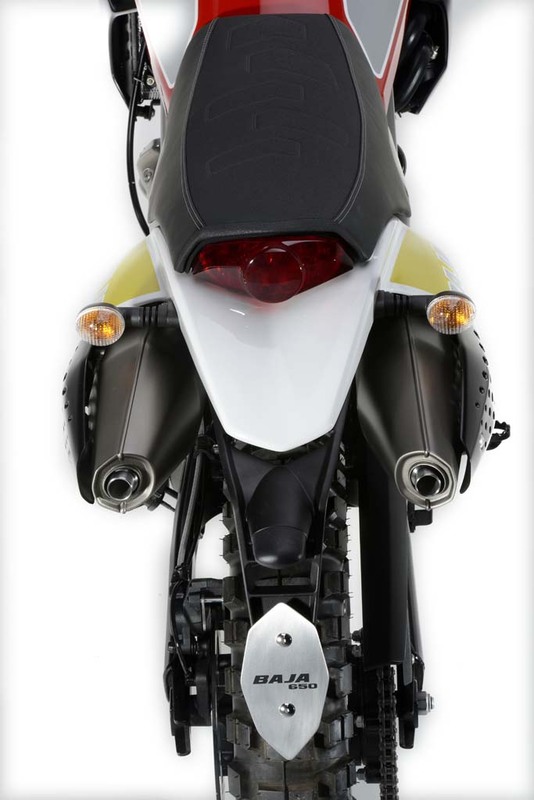 The headlight unit now uses a single lamp instead of the multiple LEDs embedded in a number plate used on the original concept as well as on the MOAB.